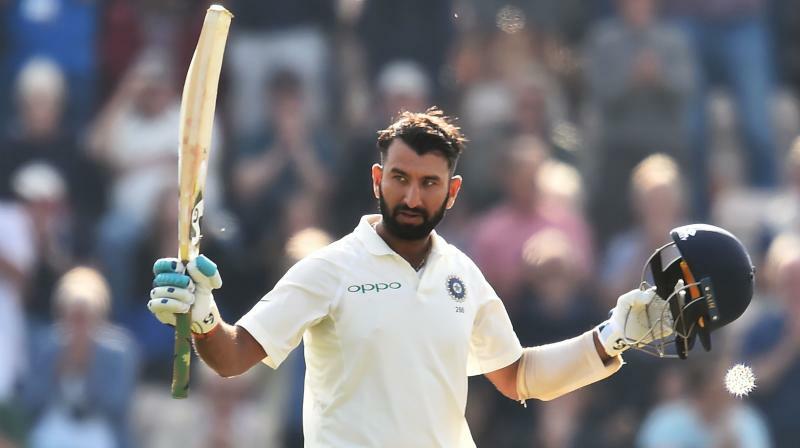 Pujara carved out a sparkling 123 to guide India to 250 for nine at stumps on a scorching hot day at Adelaide Oval. Adelaide: An Indian rescue mission seemingly tailor-made for Virat Kohli instead fell to Cheteshwar Pujara who took his captain’s ‘Superman’ cape and struck a vital century to save the tourists on day one of the series-opening test against Australia. Watchful early against Australia’s vaunted pace attack, he then hammered them around the game with an assault on the second new ball late in the day. “It was one of my top innings in test cricket, I could say top five,” the Indian number three told reporters after a knock of seven fours and two sixes. “I can’t rate whether it was one of the best but the team mates who were appreciating said that this is one of the best. Tim Paine’s Australia will have felt hugely relieved to see the back of Pujara on this day at least. The batsman has been a thorn in the side since his 2010 debut against Ricky Ponting’s team in Bangalore, when he scored a second innings 72 to steer India to a seven-wicket victory. He has since feasted on a string of Australian teams, scoring 204 against Michael Clarke’s side in the 2013 Hyderabad test and 202 in Ranchi against Steve Smith’s men last year. India’s talisman Kohli was also removed by inspired fielding, with Usman Khawaja pinching a stunning one-handed catch with a full-stretch leap in the gully. Kohli was among five of India’s top six batsmen to give up their wickets with loose shots, leaving Pujara to salvage a total from the rubble. “To be honest we should have batted better but they also bowled well in the first two sessions,” said Pujara. “And I knew that I had to stay patient and wait for the loose balls but the way they bowled, they bowled in the right areas.